NAC's latest addition to the GX family, the GX-8 is the ultimate in high speed cameras providing the user with superior light sensitivity, mega pixel resolution and extremely high speed frame rates ? all in one camera! This “flagship” camera system captures brilliant images at 1280 x 1024 pixels at speeds up to 2,900 fps and frame rates in excess of 600,000 fps at reduced resolutions! The GX-8 is ideal for the most demanding application requirements. - High Resolution: 1280 X 1024 pixels up to 2,900 fps. Get the Datasheet to view the Memrecam GX-3 Product Specifications Sheet. 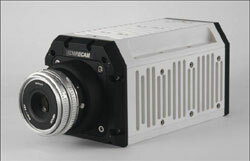 NAC Memrecam GX-5 - Multi-Micro Camera Head Digital High-Speed Video System. Finally, the Micro Camera from NAC achieves 1000fps! NAC’s Memrecam GX-5 will set new standards for high-speed imaging flexibility and performance in onboard automotive testing.These cameras provide the ideal solution for image capture in confined spaces such as foot wells, engine compartments and a vehicle’s undercarriage. Multi-Camera, Micro Heads – NAC enhances the capabilities of its unique Micro Camera Head Design, connecting up to eight (8) cameras directly to a single onboard processor. High Resolution – Record brilliant color images with 640 x 480 pixel resolution (VGA) at up to 1000fps. (higher frame rates at reduced resolution). Hi-G – Ruggedized for onboard Hi-G applications, 100G’s shock, 11ms. Ultra-High Light Sensitivity – The GX-5 Micro Camera is designed to take images in confined, poorly lit spaces, providing more than 2X the light sensitivity of any product of its kind available on the market today. Get the Datasheet to view the Memrecam GX-5 Product Specifications Sheet. 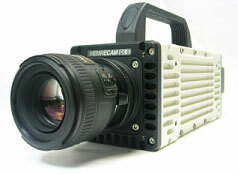 NAC Image Technology introduces the first member of the GX family of high-speed digital cameras ? the Memrecam GX-1! 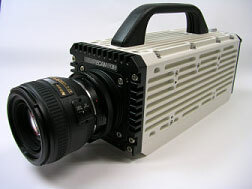 The GX-1 is a rugged, ultra light sensitive mega pixel camera developed for demanding testing environments. This Hi-G self-contained Camcorder provides crisp, clear images in brilliant color or crisp monochrome with over 1.3 million pixels! The GX-1 comes with selectable bit densities of 12 bit, 10 bit and 8 bit as a standard feature. - 1:1 aspect ratio at 3,000 fps. Applications for the Memrecam GX-1 Plus: Automotive Crash, Ballistics, Combustion, Materials Research, Machine Design, Microscopy, PIV, Flow Visualization, Spray Analysis and many, many more..
Be sure and check back regularly in the coming weeks for announcements on updates to the GX-1 Plus product line . Get the Datasheet to view the Memrecam GX-1 Plus Product Specifications Sheet. The Memrecam GX-3 high-speed camera system is a multi-purpose workhorse designed for the most sophisticated high-speed imaging applications. The GX-3 is the only system in its class capable of taking mega pixel images at 2,000 fps at 1280 x 800 pixels OR 1024 x 1024 pixels! With an astonishing active pixel size of 21.7 microns and superior Dynamic Range, the NAC Memrecam GX-3 has the unsurpassed light sensitivity for crisp, clear images . digital and / or analog data.